Findlay Market has been a Cincinnati landmark for 160 years. Over that time it has established itself not only as a destination for great food, but also as an incubator for great food talent. Throughout the public market’s history, it has served as the starting point for businesses and business models that have gone on to permanent operations elsewhere throughout the city. Most recently those examples include Eli’s BBQ, Taste of Belgium, and Pho Lang Thang. 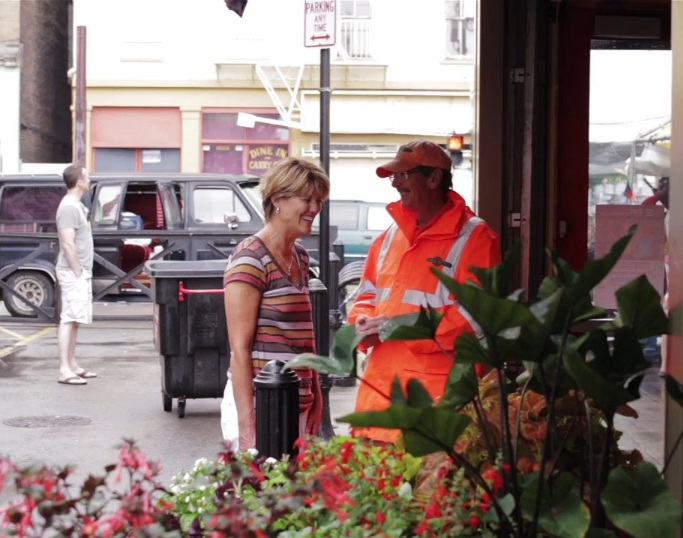 A new Cincinnati Deconstructed video with Findlay Market’s Karen Kahle tells this story and sheds light on the importance of Ohio’s oldest operating public market. Tsitouris went on to say that much of the early focus of the Cincinnati Deconstructed series has been on Over-the-Rhine due to its resurgence as of late, and its overall importance to the region. Cincinnati Deconstructed with Karen Kahle lasts approximately four-and-a-half minutes. Previous videos in the series highlight chef Owen Maass from Cumin, Taste of Belgium owner Jean-Francois Flechet, and mixologist Molly Wellmann. Future videos, Tsitouris says, will expand to other Cincinnati neighborhoods. Next articleWill Cincinnati be left behind in the latest passenger rail station boom?